Papercut Patterns takes a completely fresh approach to packaging design. The patterns come in a square box with cut out details, opening out to reveal a hanger. Could you hear me oohing and ahhing as I opened the box? 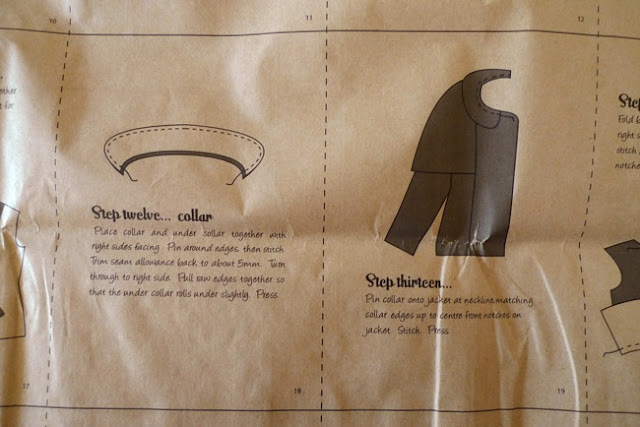 The pattern instructions are printed on huge sheets of recycled paper, the same paper the patterns are printed on, the idea being to cut them yourself into a little booklet. The paper itself has a nice weight to it which won't rip easily. The instructions are given in an encouraging, friendly tone, with little tips thrown in. Handily for my fellow Brits and others, the fabric size requirements are given in both metres and yards. When did you start Papercut Patterns and how did you get into it? 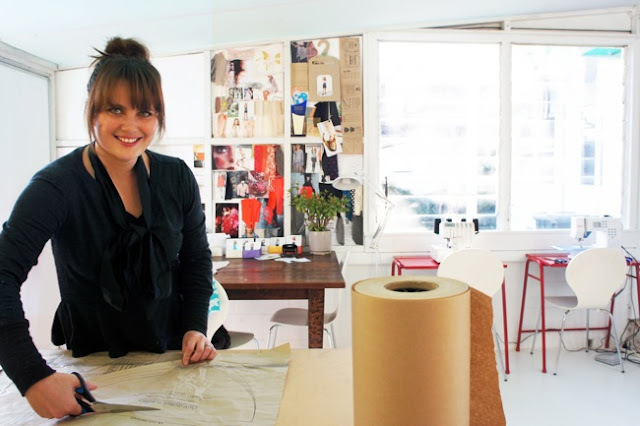 Katie: "I first came up with the idea in 2008 while I was working in a fabric store in Auckland, New Zealand. I constantly had young stylish girls that were really into fashion asking me where they could get current sewing patterns. Because I had always drafted my own, I hadn’t really noticed the massive gap in the market. I guess you could say I had a light bulb moment, however to turn it into a reality there was a lot to be done! Firstly I had to move my life from Auckland as it was too expensive to live there while setting up as I was also supporting my then 7 year old daughter on my own. I moved back to my hometown Blenheim which is a small rural town in the South Island of NZ. My dad made a space for me in the corner of his business where Papercut began. It took me a while to set up, as I didn’t have any capital to start the business and had to do everything myself. I started by designing my collection, then by the time I’d taught myself to use Illustrator and Indesign, designed my packaging, logo and website, I was really over my original collection so started again. Finally in September of 2010 I launched my business!" 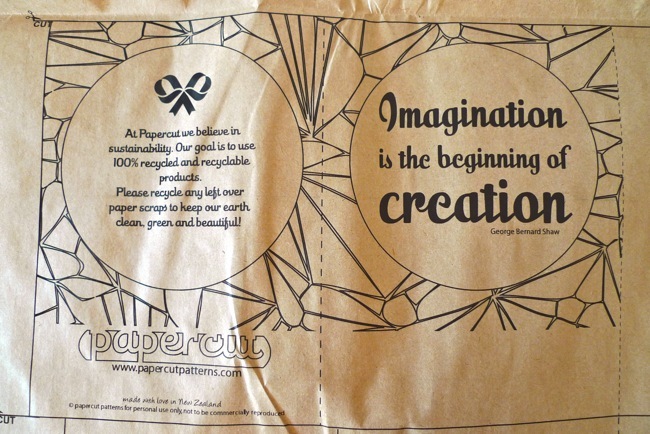 The first thing that struck me about the patterns was the amazing packaging. What was your thinking behind the package design? "I wanted my patterns to be a completely different experience to anything that was already on the market. I absolutely love beautiful innovative packaging and I wanted it to be something people would be excited to open. I wanted to bring in a real designer at home feel. 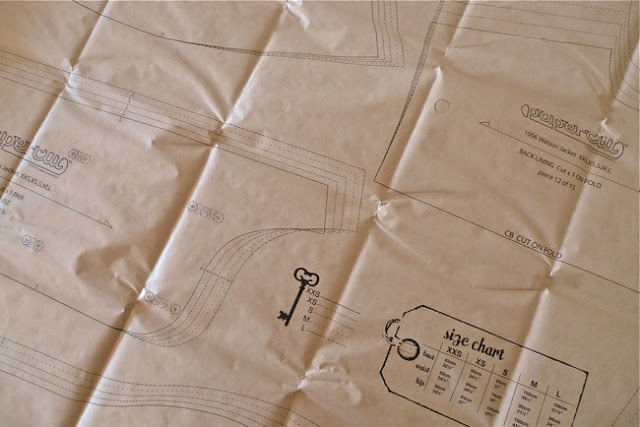 In a fashion workroom patterns are always drafted on brown paper and hung on a hook. Originally I wanted to have a proper pattern hook included in the package, and I bought 10 from an online store to work out how I would package them up…still to this day I haven’t received those hooks after numerous emails to the company I bought them from, however it made me think more creatively as to how I would achieve what I wanted. I woke up in the middle of the night one night with the design for my envelope. Once I had that developed, I needed to figure out how I was going to punch the holes in each pattern piece for the string to go though to hang them up. The holes are still to this day all individually punched by hand. My packaging has evolved a lot since I first launched, I am constantly making changes so that it is more functional." 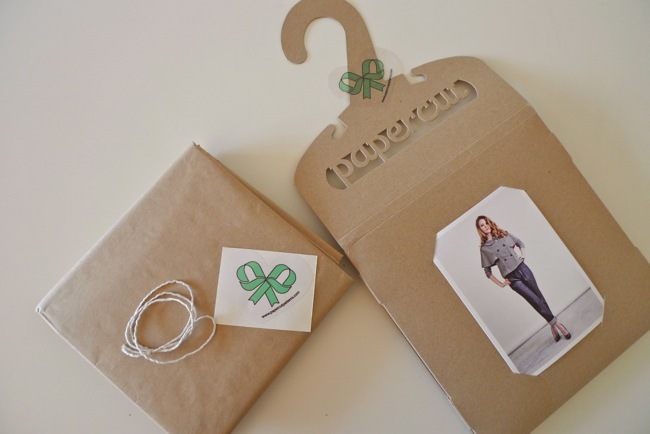 The packaging and patterns are printed on recycled paper. Is environmental sustainability an important consideration for your business? "I think that sustainability is something our generation really needs to think about. We need to be more aware of our impact on resources. I love that people are getting back to making things for themselves and I think it’s important that we care more. I encourage to recycle any left over scraps. There are so many ways this can be done other than just putting them into a recycle bin. Paper scraps can be used for kids to draw and paint on. You can make cute little origami animals, and fabric scraps can be used for all sorts of things, even as fillers for cushions. I also like to promote using natural and renewable fibres, not only do they feel and look better, they are better for our environment. I’m not sure how available it is over there, but I’m a huge user of NZ Merino Wool, it is such an amazing fibre! You can put it in the washing machine with everything else, it’s warm, light and sustainable!" 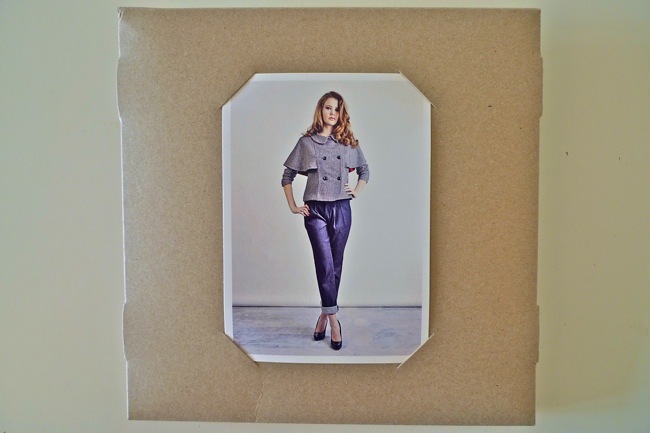 How would you describe the style of the garments that people can make with your sewing patterns? "With my first collection I wanted it to be a basics range, patterns that you can make many times in different fabrics without it being too obvious it’s the same garment. If you look at most designers, they have repeat garments they release in different fabrics and prints each season. 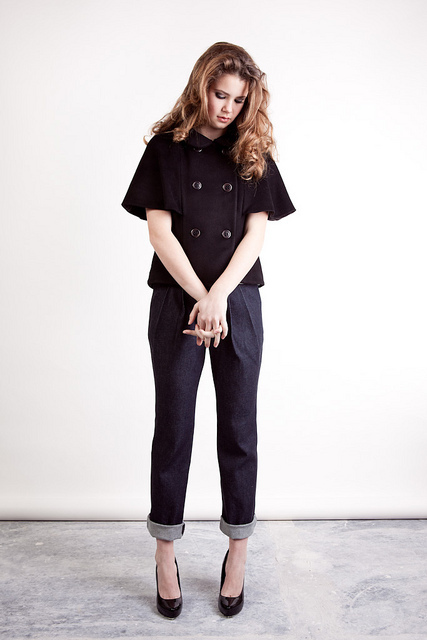 I have been very vague in my fabric recommendations, as I want people to realise that they can put their own take onto my pattern, they are essentially the designer… for example, my Milano Cape has been made in a heavy wool coating, but you could make it up in a lightweight drapey silk and it be more like cape shirt dress. Depending on what you make your pattern up in, it can look like a completely different garment." 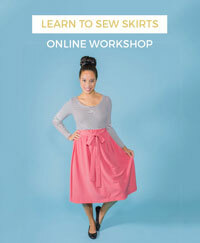 Which is your favourite of your sewing pattern designs and why? "That’s a hard one, I wear them all! My Milano cape with Merino leggings underneath were especially great during my pregnancy last winter! 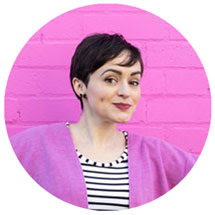 The pleated pants are a wardrobe staple of mine, and I have a circle top in every colour of Merino possible! My all time favourite though would have to be my sleeveless Watson Jacket, I love it and wear it all the time!" Thanks, Katie! Y'all, take a look at the rest of the pattern line, there are some lovely modern designs... including the really intriguing Circle Top! UK peeps can buy them from Sewbox.